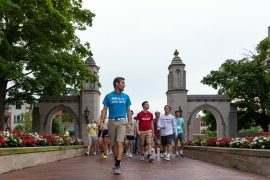 If you are an incoming freshman, you’re bound to have loads of questions about IU and the transition to college. Schools App, a Facebook application for students to talk to others in their IU graduating class, is a great place to ask those questions. Here are just a few frequently asked questions on the Schools App. Freshmen are allowed to bring their cars on campus with the purchase of a parking permit. Depending on the permit, students are able to park in CH or ST permit zones. CH zones are parking areas near residence halls and on-campus apartments. ST is stadium parking. All student vehicles parked at the stadium must be moved by 6pm the day before home football and men’s basketball games. CH permits are awarded in order of the date each student’s housing contract is signed. Registration for the CH waitlist will open after spring break, which is March 11-18, and will close at the end of July. You can find the registration form by searching “residence hall parking” on One.IU. Again, it doesn’t matter when you register because the waitlist goes by the signed date on your housing contract. ST permits usually go on sale at the beginning of August. If you purchase an ST parking permit but are later awarded a CH permit, you can swap permits at the Office of Parking Operations. Any student (permit holder or not) is allowed to park on campus from 5 p.m. Friday to 11 p.m. Sunday. For further questions, check the Office of Parking Operations website. 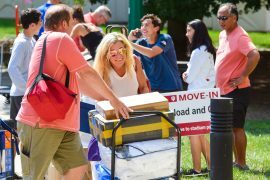 The 2018-2019 incoming student housing application can be edited after submission. If you submit the application but need to change any information, you can do so until May 10, 2018. This includes meal plan, roommate preference, or neighborhood information. Eigenmann Hall and Collins Living Learning Center are the two residence halls with triple dorms. Since freshmen are only eligible to pick their preferred neighborhood, there is usually small chance of getting a triple. Which neighborhood should I live in if I’m majoring in ___? Co-Ops are a great option for those who want to be a part of a community and lower the cost of room and board. Through the shared responsibility for the upkeep of your living space, you’ll learn valuable skills while creating lasting friendships. Chores are assigned on a weekly basis, and usually students have to complete his or her specific chore once or twice a week. The central neighborhood houses the least expensive Co-Op. This neighborhood is also a great location because many academic buildings and facilities are just a few minutes walking distance. Yes, but it depends on the residence hall. Not every building or floor has a kitchen. I lived in Teter Wissler last year, and we didn’t have a kitchen, but Teter Rabb did. Other residence halls, like Willkie, have a community kitchen on every floor. Sometimes LLCs will have their own kitchens as well. Should I go with a random roommate? It depends on what kind of person you are! If you like having things planned out in advance, then going random may not be the best option. If you are open, flexible, and like to go with the flow, having a random roommate probably won’t give you much stress. There are some wonderful friendships that come out of going random, but sometimes it just doesn’t work. This decision also depends on how much time you plan on spending in your room. You may not see your roommate often if one or both of you prefer to do work and study outside of the room. 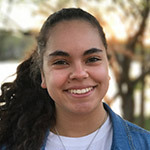 In addition, if you are particular about how certain things should be, like a time you want to be asleep each night or opinions on sharing a fridge, then roommate searching would be the better option. This way you can discuss your preferences before you decide whether you are suitable to live together. 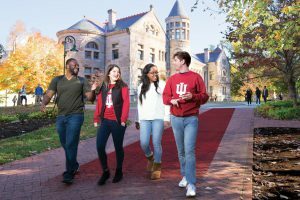 Red Carpet Days are campus visit days specifically geared toward those who are admitted to IU. You take a tour and explore campus, learn about academic programs, and meet current IU students and faculty. More information is also provided about housing and New Student Orientation. This is a great time to ask questions you may have about anything to do with IU and/or attending college. If you haven’t heard back already, you should receive answers about scholarships by the end of March. Different schools and departments use the SSA, so awards are given out on separate timelines. There are so many different religious facilities in Bloomington. Students who want a place to worship while in college will surely be able to find one. Here is just a small list. New Student Orientation runs throughout the summer. Once the dates are announced and the application opens, you can choose which NSO date you would like to attend. Orientation lasts about two days. 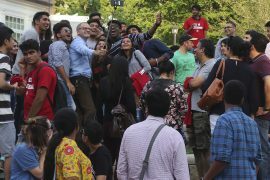 Check the Office of First Year Experience website and your IU email frequently to know when reservations are announced. Hopefully these FAQs provided you with helpful answers! 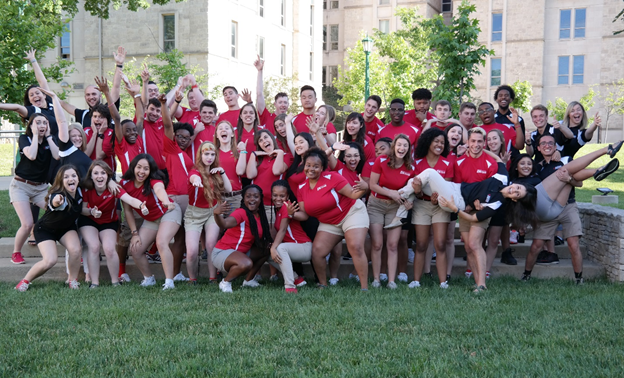 We are excited to see you on campus soon.